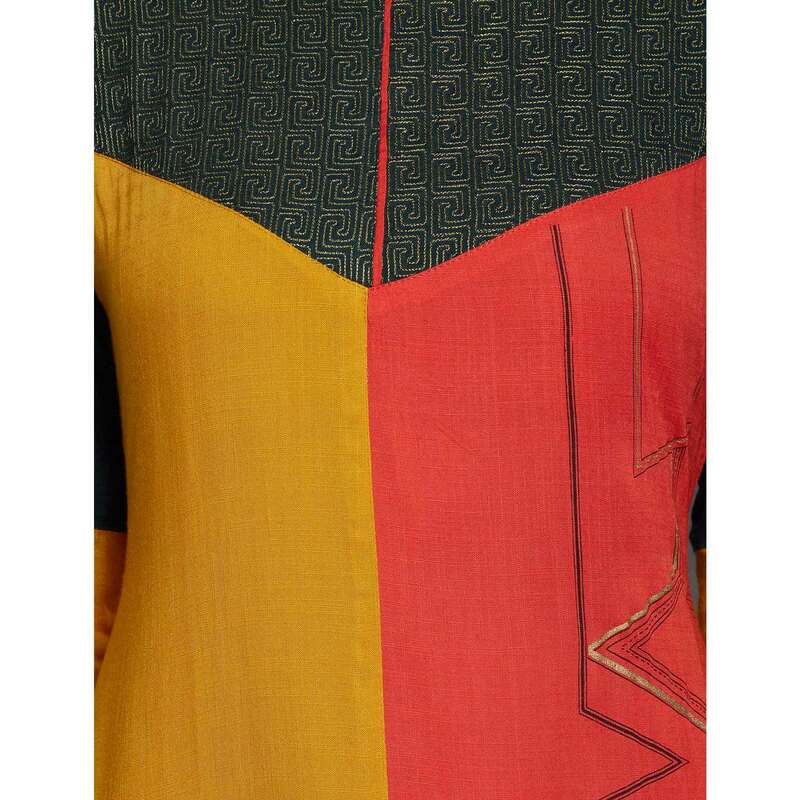 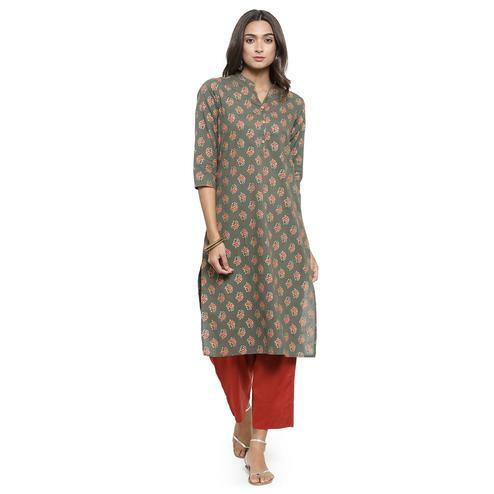 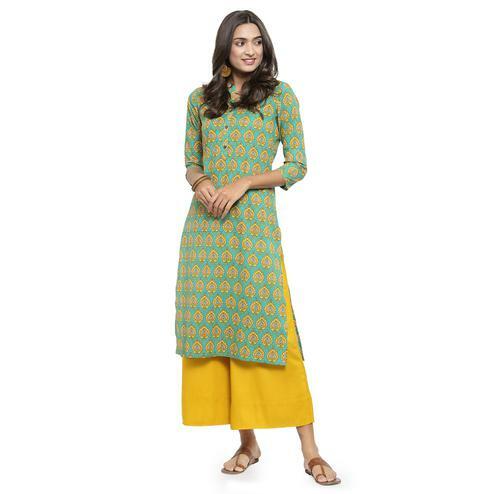 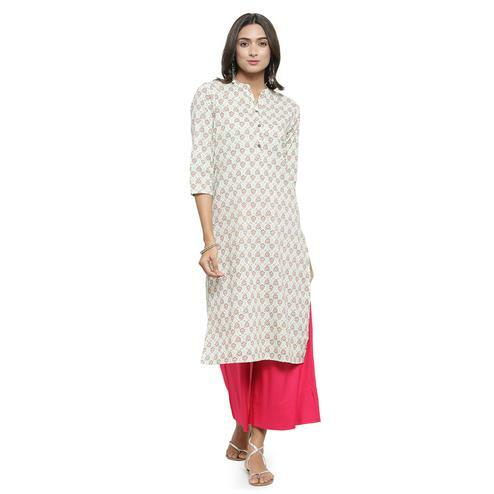 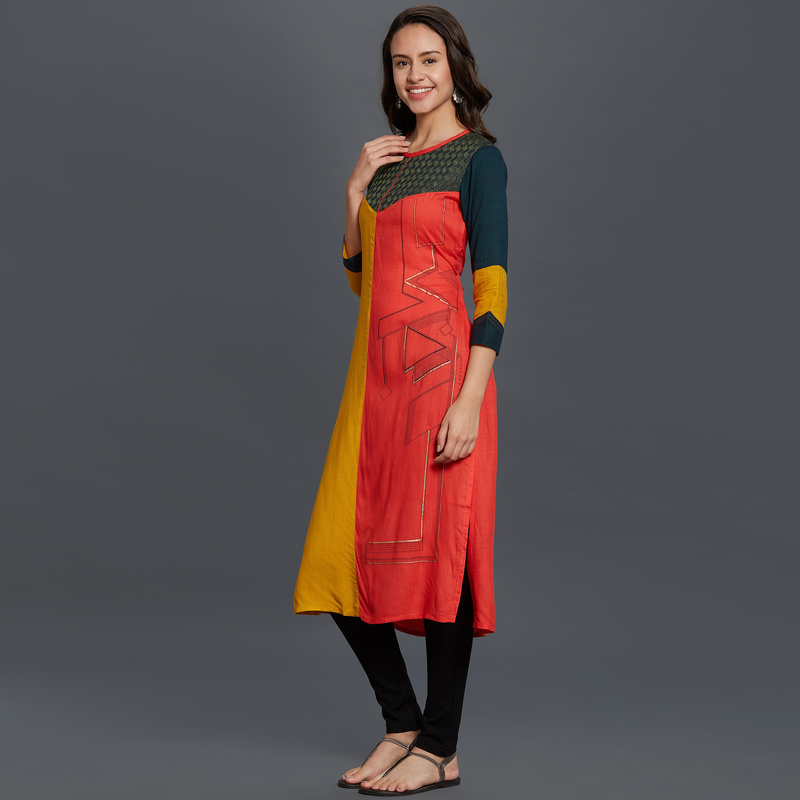 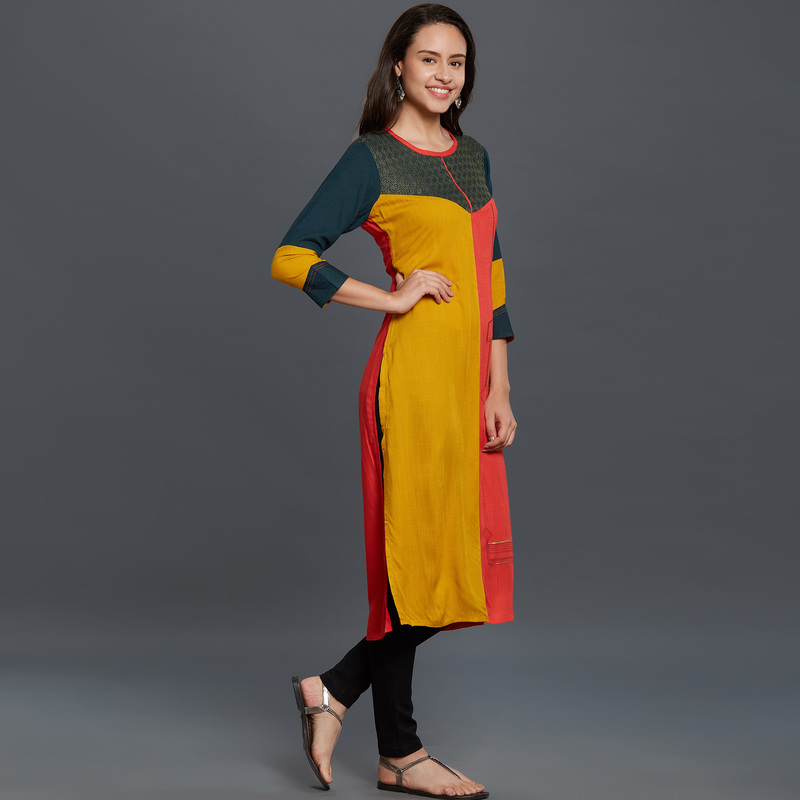 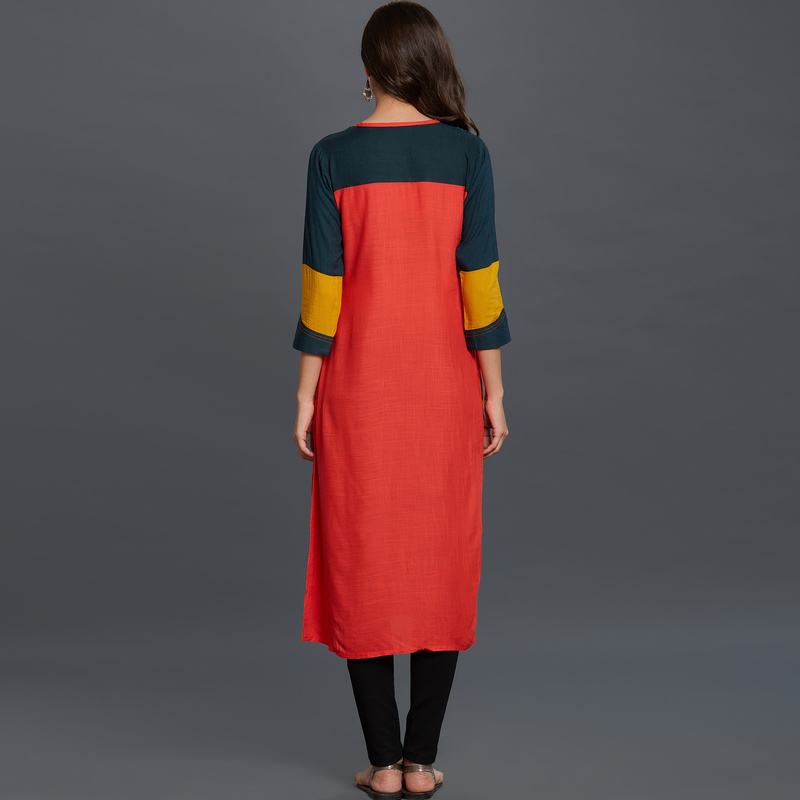 Add grace and charm towards the appearance in this mesmerising multi colored kurti. 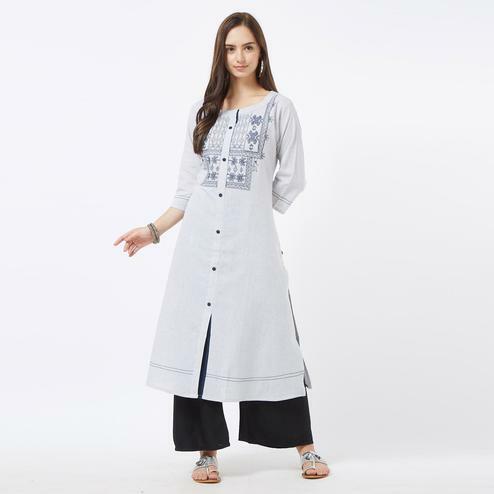 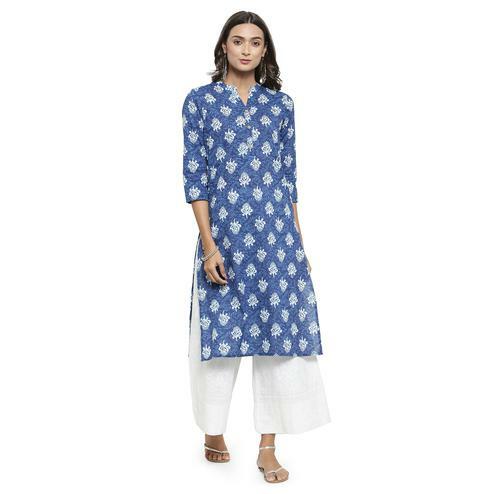 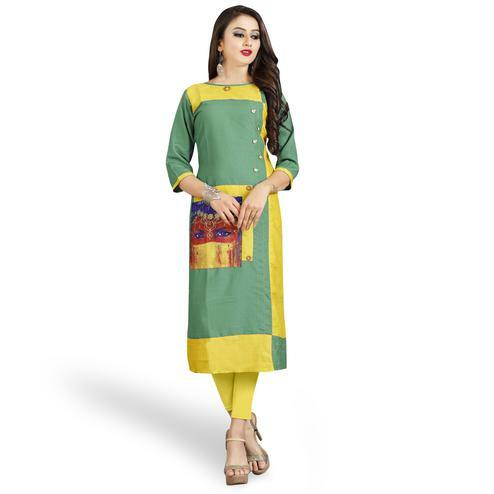 This attractive kurti is made of rayon fabric and stylized with eye-catching color combination with embroidered yoke. 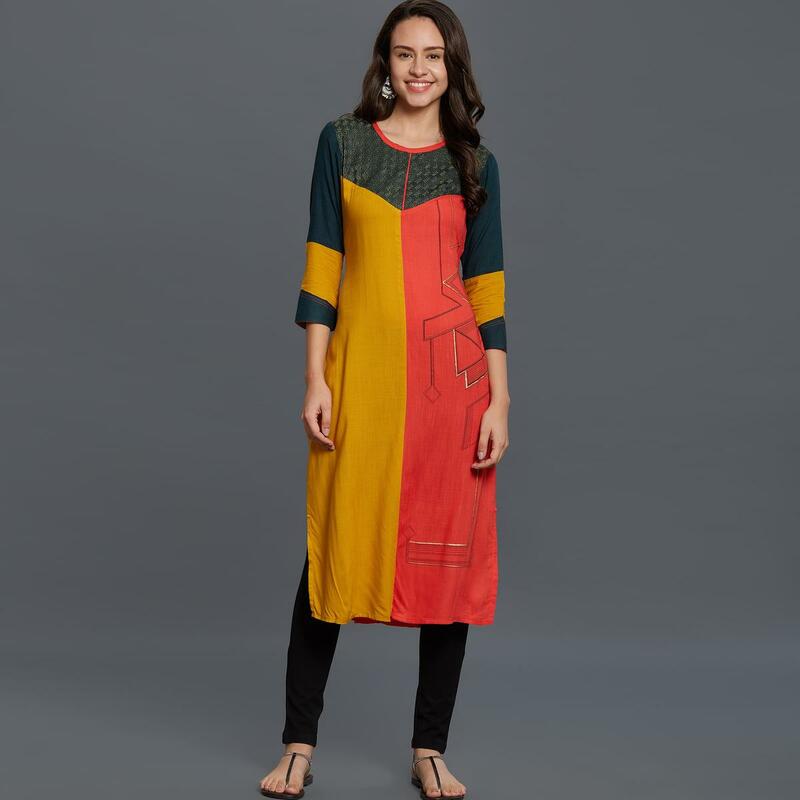 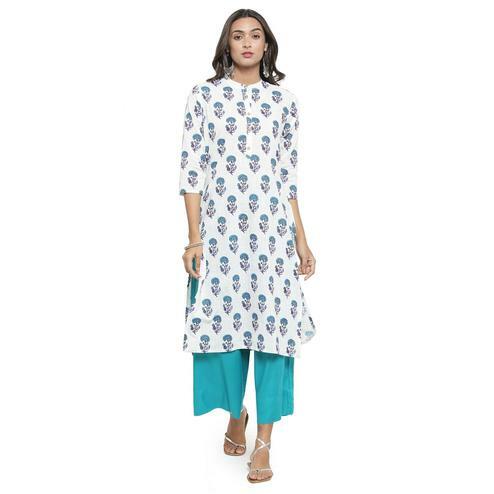 The contrasting combination of colors look sos classy and also makes it very comfortable office wear, weekend get-together, kitty parties and events. 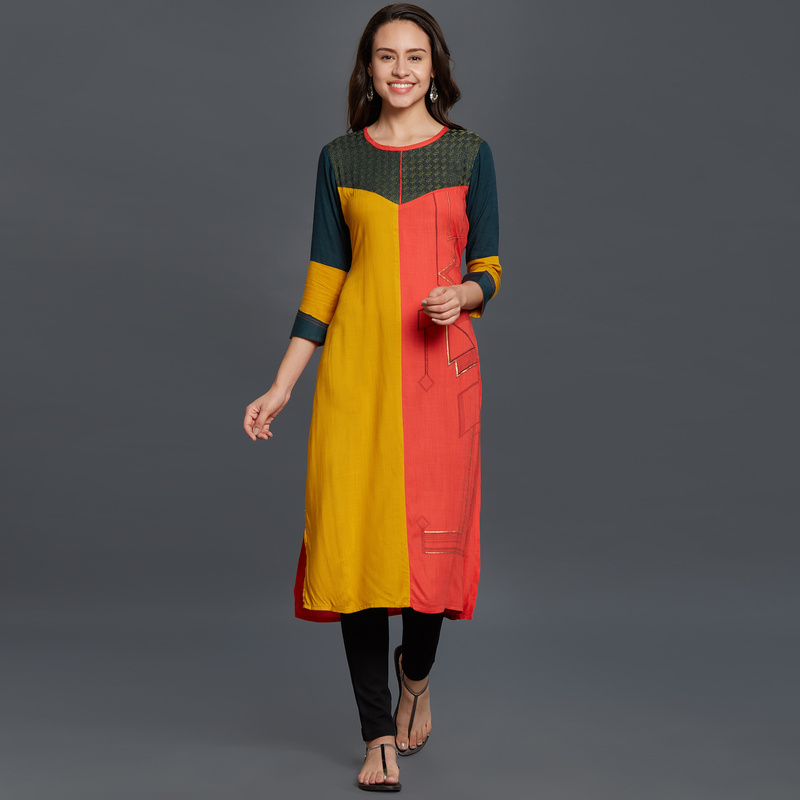 Pair it up with leggings, palazzos or jeans to create a contrasting effect, along with heels & stylish accessories and you are good to go.